Today Overdrive announced that the self acclaimed author and self-publisher J.A. Konrath will be a featured speaker at Digipalooza 2011. J.A. Konrath has authored 22 eBook titles that are available through OverDrive as well as Amazon and other eBookstores. Digipalooza is a biennial conference held by Overdrive, the digital library service provider. 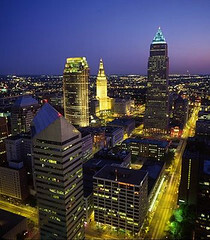 The 2011 conference will be in Cleveland and will include a Publisher Roundtable where industry leaders will discuss and field questions about the evolving business of eBooks and digital media and librarian-led sessions on how public libraries are benefiting from the eBook explosion, as well as other sessions.